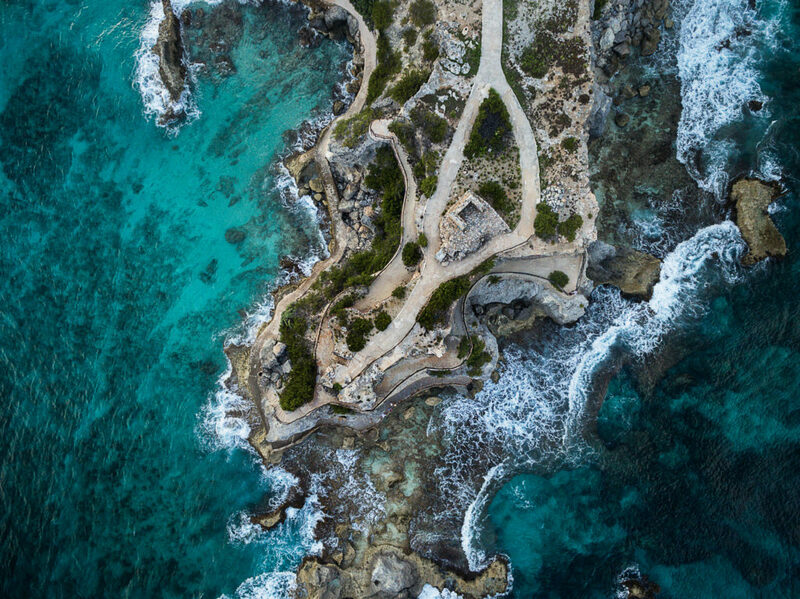 If you’re determined to tie the knot at a resort with a unique vibe, Isla Mujeres, Mexico could be your dream destination. 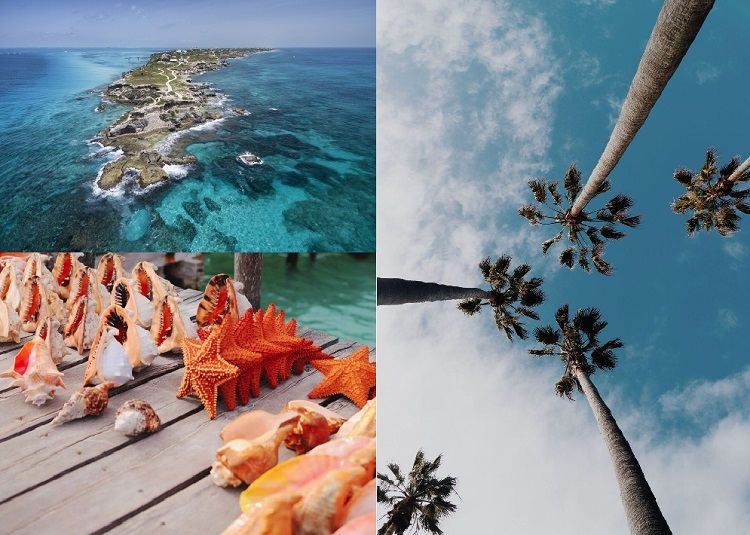 A gorgeous island just a few miles east of Cancun, this vibrant locale offers the luxurious amenities and beachy scenery you’ve come to expect from a resort town, but also an appealing, laid-back atmosphere. 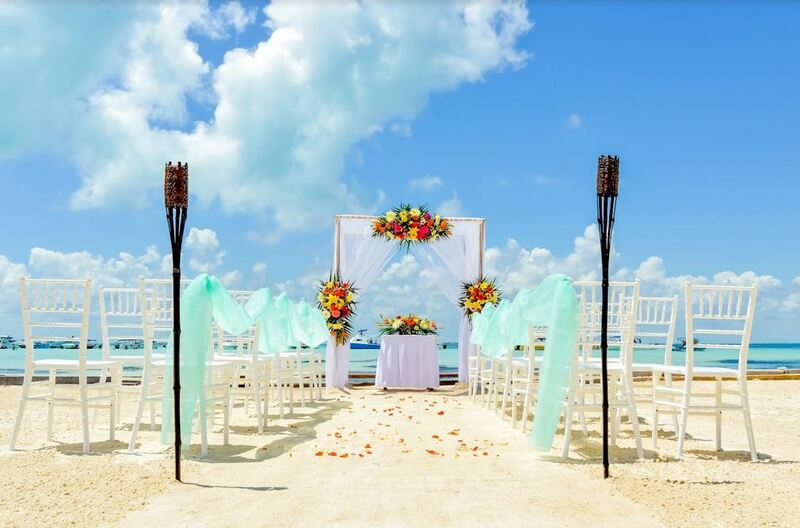 Getting married in Isla Mujeres is perfect for a beautiful, stress-free wedding. If you love the natural beauty of Cancun beaches but desire a more secluded and intimate environment, you’ll appreciate the privacy of Isla Mujeres. 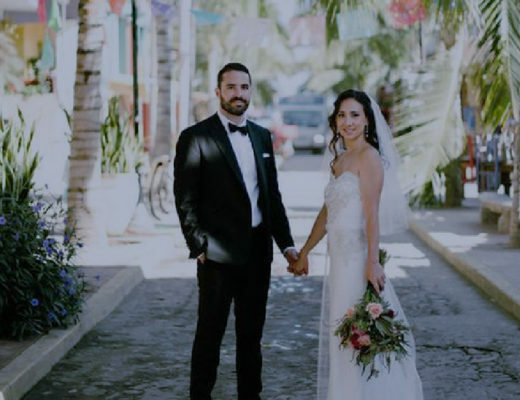 An exclusive destination, Isla Mujeres provides a range of all inclusive amenities, but also a relaxed approach to the wedding resort experience. You’ll get your heart racing in the water and on land, but you can also expect plenty of lounging on the beach and in the spa. 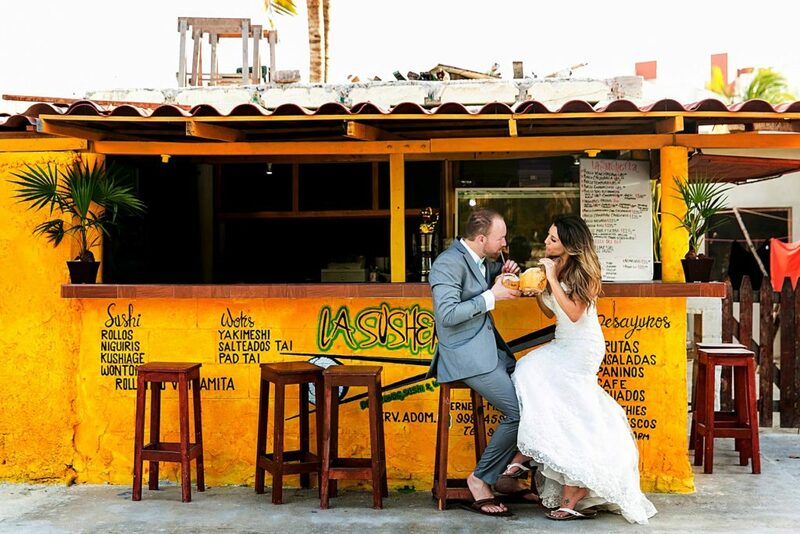 Planning a destination wedding in Mexico? 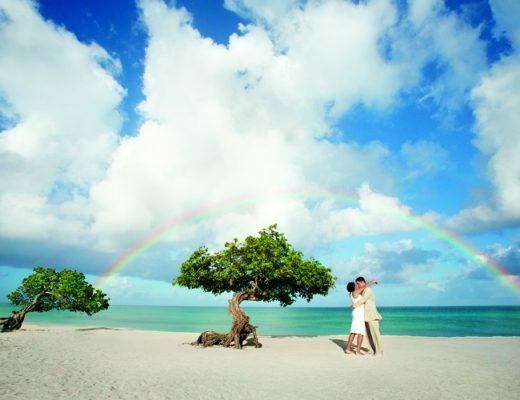 Add a little extra pizzazz to your Big Day by booking a package at one of the island’s finest all inclusive properties. Several of Isla Mujeres’ resorts offer customizable packages designed to fit the unique needs of traveling brides and grooms. Venues vary from one resort to the next, but most offer the option of exchanging vows on the beach, in a gazebo or in a lovely garden. Packages may include your ceremony decor, reception space, or even special perks for the wedding party, such as a bridal suite or spa discounts. 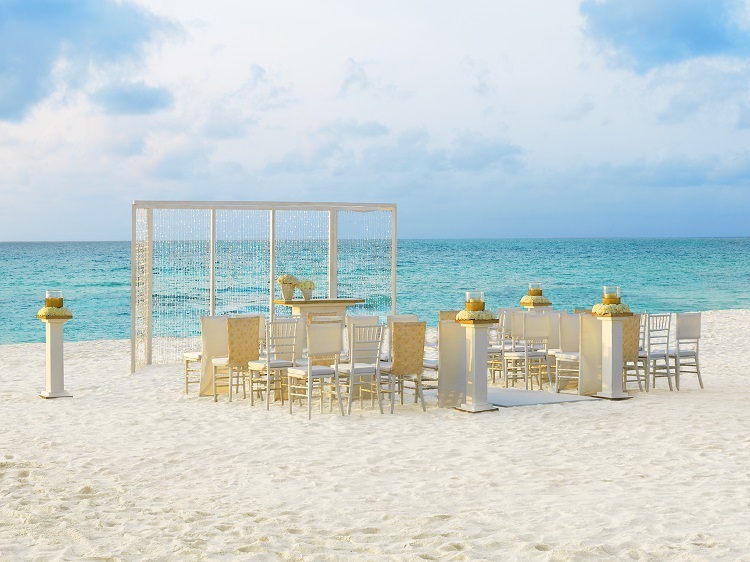 Plan an intimate wedding at Zoëtry Villa Rolandi Isla Mujeres Cancun, which offers a range of wedding packages and venues. An onsite wedding coordinator handles every detail. All packages include romantic nightly turndown service, with some adding ceremony violinists or private cocktail parties. Say a sophisticated “I Do” during your upscale wedding at Mia Reef Isla Mujeres. 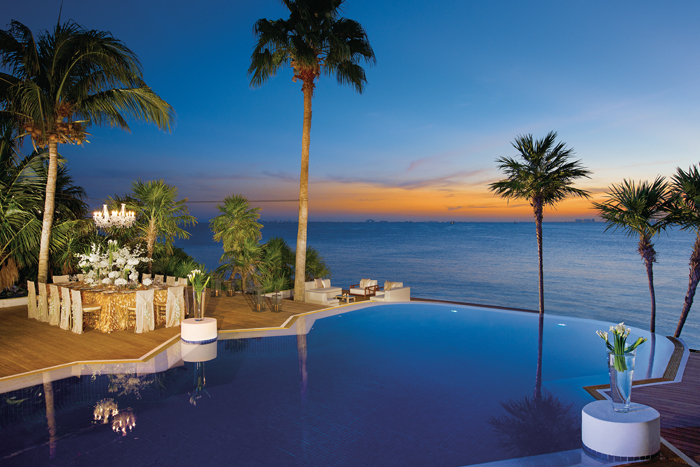 The exclusive resort offers some of the island’s best sunrise and sunset views. Wed in the garden or on a private pier. The resort’s most unique option is a Mayan Love Wedding, featuring floral head crowns, Mayan music, and offerings with seeds and flowers. If you’re currently planning an adults-only destination wedding, check out the packages available at Isla Mujeres Palace. The resort offers several themed wedding ceremonies. The Pearl Shimmer Wedding, for example, delivers a simple and radiant aesthetic with Chiavari chairs and a distinctive three-panel structure. Boredom is never an option on Isla Mujeres. 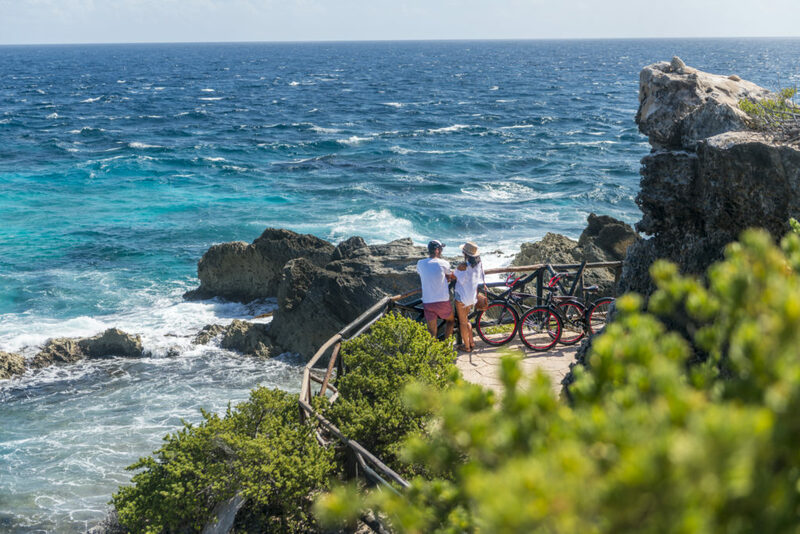 After you exchange vows, set aside several days to explore the many adventures the island has to offer. Outdoor thrills abound on and around this exciting island. Due to its proximity to multiple coral reefs, it’s a top spot for snorkeling and scuba diving. Other water-based activities include kayaking, paddle boarding, and spin tackle fishing. Looking for an amazing way to welcome your guests? Your entire wedding party can enjoy a romantic yacht excursion at sunset. Water sports aren’t for everyone, of course – there’s something to be said for relaxing on the beach while enjoying incredible views. Situated right on the coast, Isla Mujeres’ top resorts boast cast stretches of sand that lend themselves to sun-soaked relaxation. Many Isla Mujeres vacationers arrive with the intention of spending long days on the green. Top golf courses may be located on the mainland, but several of the island’s resorts offer transportation and complimentary green fees. The Playa Mujeres Golf Club is particularly popular among tourists and local golf enthusiasts alike. Interested in getting married in Isla Mujeres, Mexico? 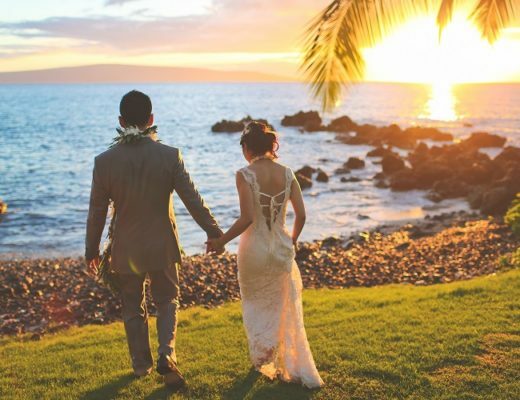 The island resort’s are increasingly in demand among future brides and grooms, so it’s important to start planning well in advance. 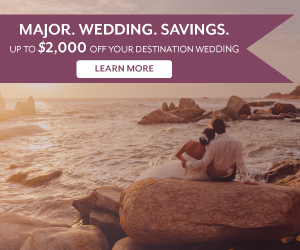 The right wedding package can ensure the elegance you crave, while also allowing you to plan a low-stress, affordable ceremony and reception. For more destination wedding inspiration, check out the newest edition of Get Married Away!